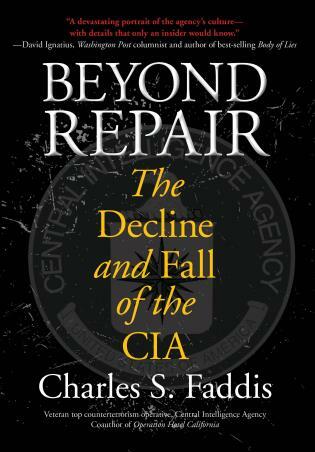 “Every senior officer I know in the CIA carries personal liability insurance,” writes Faddis, “because of the fear of being sued for actions taken in the line of duty.” And, he notes, no operatives who commanded CIA teams in Afghanistan have been promoted to key positions. Why? Because they operate within a system that is no longer built to encourage and reward the risk-taking and creativity they excelled at. Faddis discusses the birth of the CIA, how the agency works from the inside out, why things have gone awry—and how to go about building a new entity that will maintain the midnight watch, so Americans can sleep well at night. Charles S. Faddis served twenty years in the Central Intelligence Agency as an operations officer, holding positions as a department chief at the CIA’s Counterterrorism Center in Washington, D.C., and as a chief of station in the Middle East. He is the coauthor of Operation Hotel California (Lyons Press), which recounts how he led the first CIA mission into Iraq in 2002 in preparation for the pending invasion.